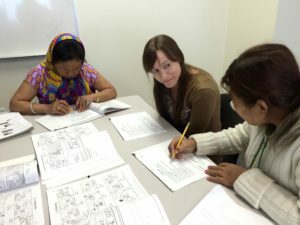 Many adult refugees are homebound and unable to access English classes in a school setting. These refugee students are served by volunteer tutors who bring the English instruction into the students’ homes for a few hours each week. Our volunteers support our program not only by helping out in classrooms and as in-home tutors, but also by sharing their time and cultural insights to help students navigate through a new life.